The 2,080-foot Tokyo Sky Tree, branded as the world's tallest freestanding tower, rises just 640 feet shy of the world-record-holder for tallest building, Dubai's Burj Khalifa. 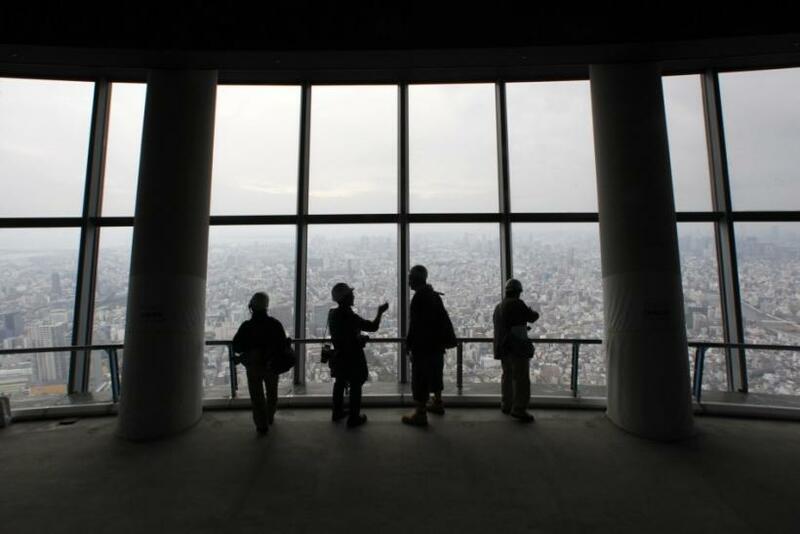 The world's second-highest building welcomed around 1,000 members of the media on Tuesday and will open to the general public on May 22. 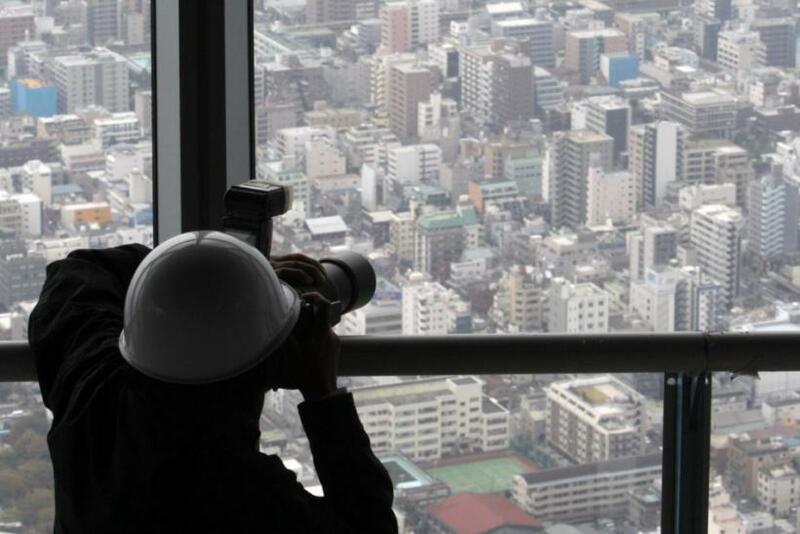 Its main attraction will be a restaurant and two observation decks, located at 1,150 feet and 1,475 feet above the Japanese capital. 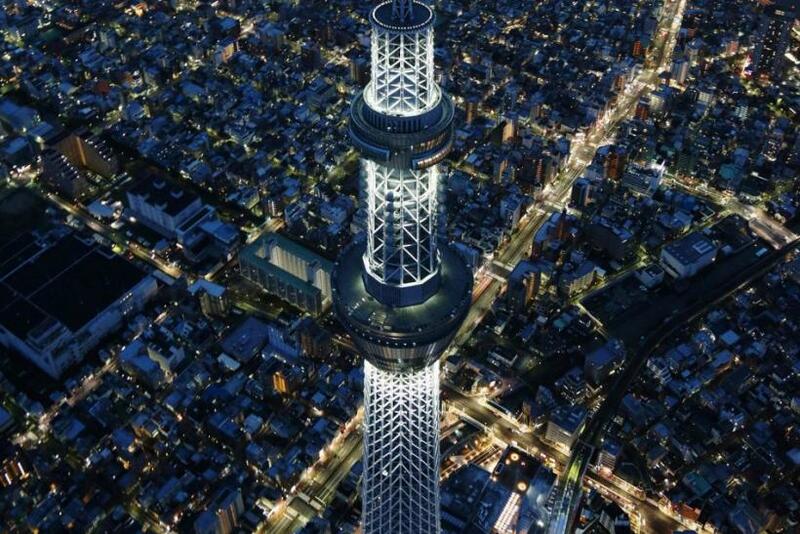 Once you go up here, you will see the entire Tokyo region, Yoshihito Imamura, deputy manager of the Tokyo Sky Tree Town, told AFP. You will see the curvature of the earth. 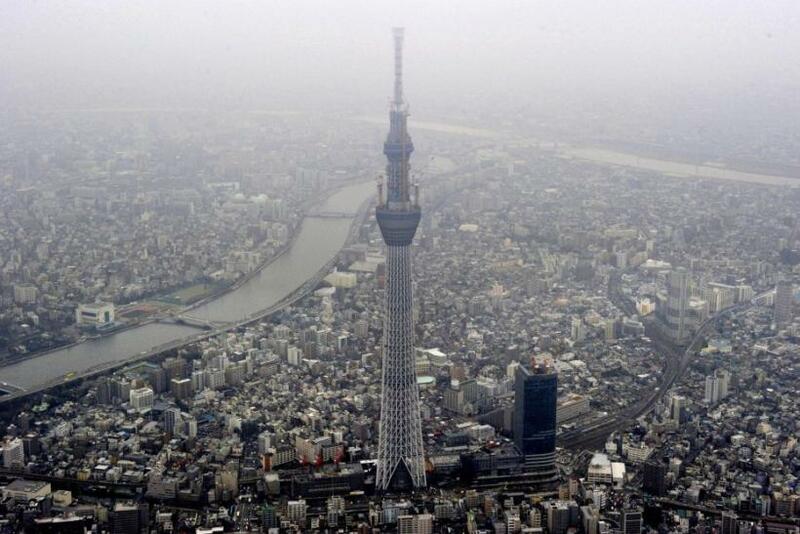 The $800 million structure looms above the capital's upscale Sumida Ward and the 1,092-foot Tokyo Tower, built in 1958. The needlelike radio and television tower was constructed with steel tubes surrounding a central concrete column. It takes just 50 seconds in a high-speed elevator to arrive at the lower observation deck and another 30 seconds to the top deck. A trip down the emergency staircase, however, involves 2,523 steps. Tokyo's tourism bureau hopes the Sky Tree will be a big draw for foreign tourists, whose numbers plummeted in the aftermath of last year's disastrous earthquake and tsunami. Earlier this year, the University of Tokyo's Earthquake Research Institute said the Japanese metropolis, which sits at the intersection of four tectonic plates, has a 50 percent chance of suffering a major earthquake in the next four years. 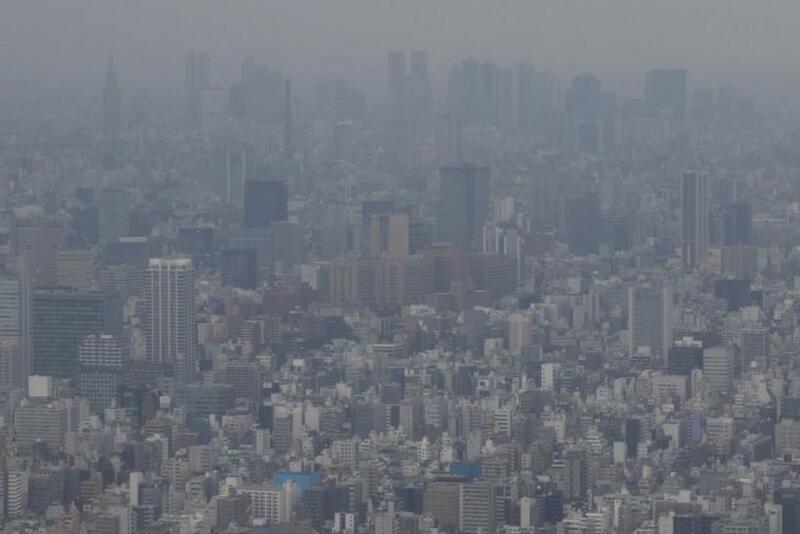 Engineers, however, have promised that the Sky Tree was constructed with state-of-the-art technology and will survive the worst of Mother Nature. Though tourism officials see the structure as a potential draw, the exorbitant entrance fee may keep people away. Tickets to go to the highest accessible point in the world's tallest freestanding broadcast tower will cost a steep $37.50. Prices at the gift shop are said to be equally dear. The Sky Tree Shop will sell around 600 high-priced items ranging from food and beverages to towels, mugs, and pens holders. Many of the trinkets will sport the Sky Tree's mascot, Sorakara, said to be a young girl with a star-shaped head who descended from the skies to Tokyo Sky Tree. Six nearby hotels will offer visits to the lower observation deck in combination with a room reservation in an effort to ramp up tourism. Three of them have been branded Tokyo Sky Tree Official Hotels, while the other three are called Tokyo Sky Tree Friendship Hotels. Local reports indicate that, despite the cost, ticket sales remain high. There have already been 600,000 group tickets created in preparation for the opening weeks, while individual sales have surpassed 140,000. 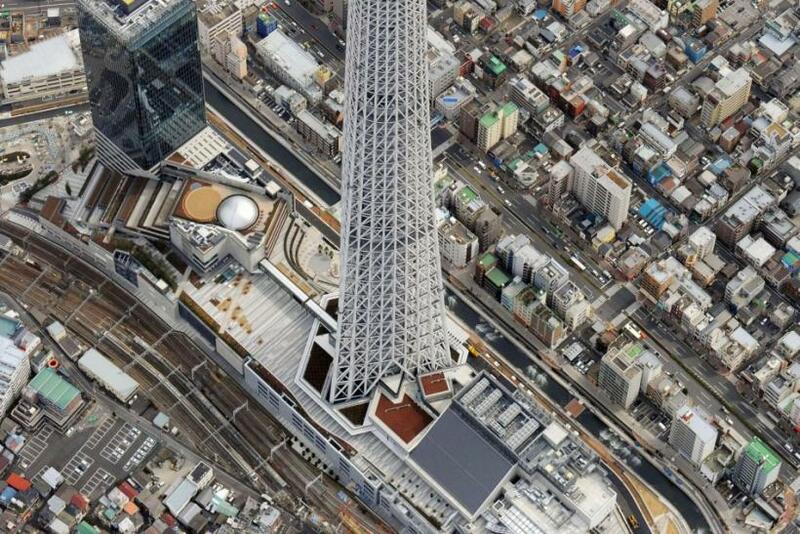 Press Start to have a look at Tokyo's new vertigo-inducing tourist attraction.